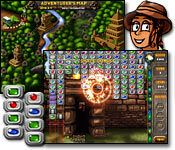 Enter an exciting world of dwarves and magicians in the match making adventure of A Dwarfâ? ?s Story! 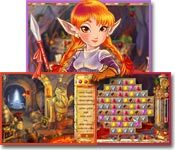 Create your own character and join the dwarves on their quest to the surface to take back an important artifact from an evil magician. Use your Match 3 skills to collect lumber, gems and gold to help the dwarves reach the surface in time!